is hosting the next world cup in 2010. 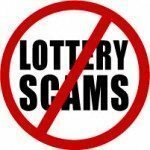 We do not think if anyone would believe in any “lottery” emails from Africa. This is an obvious scam. And they could not even get the Spelling correct. I think the name is meant to be SA Online Winnner, with SA standing for “South Africa”. The word “Online” in the domain name has a missing “E”. Information Network Online (S A I N O) which is affiliated with the Internet. You have therefore been approved for a lump sum pay out Of US$1,000,000.00 in cash credited to file REF NO: S.A.O.W-677152/ZA2008.This is from total prize money of US$14,000,000.00 shared among the ten international winners in this category. All participants were selected through a computer ballot System drawn from 17,000 names from Australia, New Zealand, North America, South America, Europe and Middle East and Asia as part of our International Promotions Programmed, which is conducted monthly. To begin your claim process, please contact your claims manager with details below and also provide him with the requested information so that he can expedite the processing of your claims. Reference/batch numbers to any correspondences with us or our designated agent. IMPORTANT NOTICE: To avoid double claims, you are advised to keep your winning details very confidential, as any discrepancies resulting from a breach of this confidentiality on the Parts of the winners will be covered solely by such winner as our staffs are bound by the oath of secrecy taken on employment.